This guide by the Sidney De Haan Research Centre for Arts and Health provides an overview of the evidence that group singing can be beneficial for mental health and wellbeing. 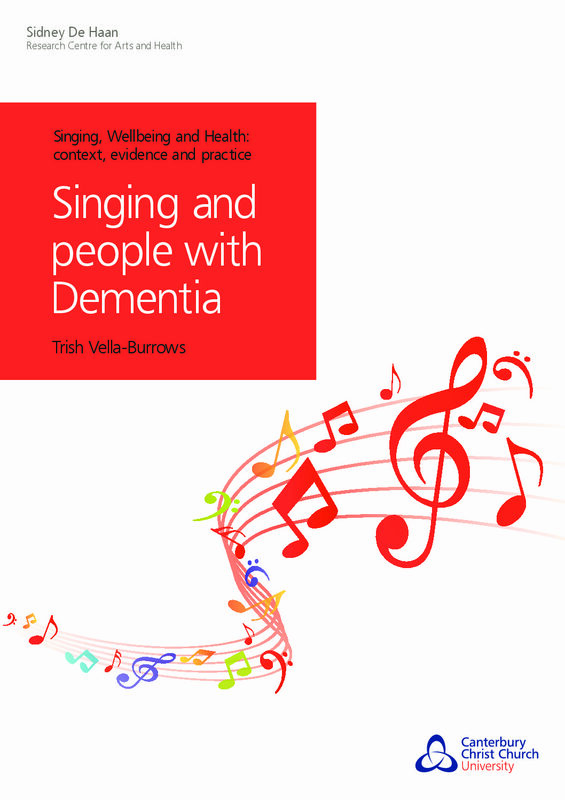 This guide provides an overview of the evidence that group singing can be beneficial for people living with dementia. It also gives examples of setting up singing groups for people living in the community who are affected by dementia. 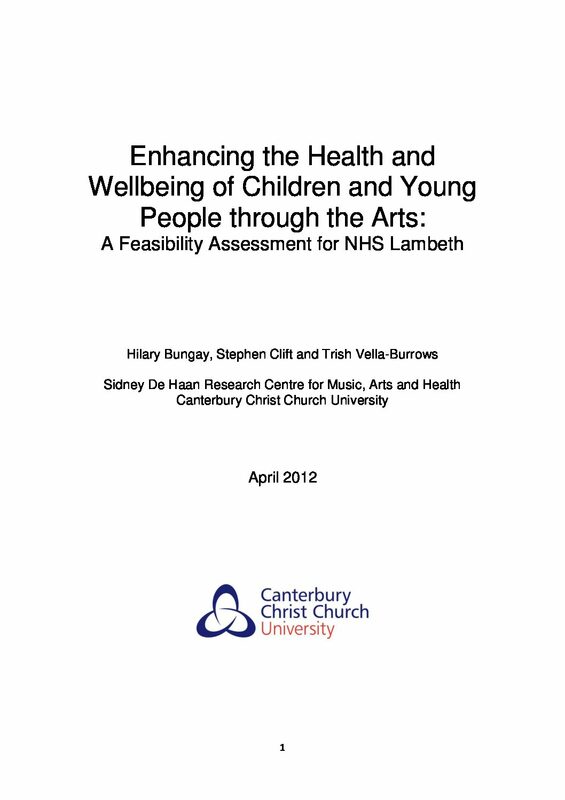 A Feasibility Assessment for NHS Lambeth on enhancing the Health and Wellbeing of Children and Young People aged 11 – 18 through the Arts. A report on how participatory music-centered programming can support young people who enter and exit the juvenile justice system. 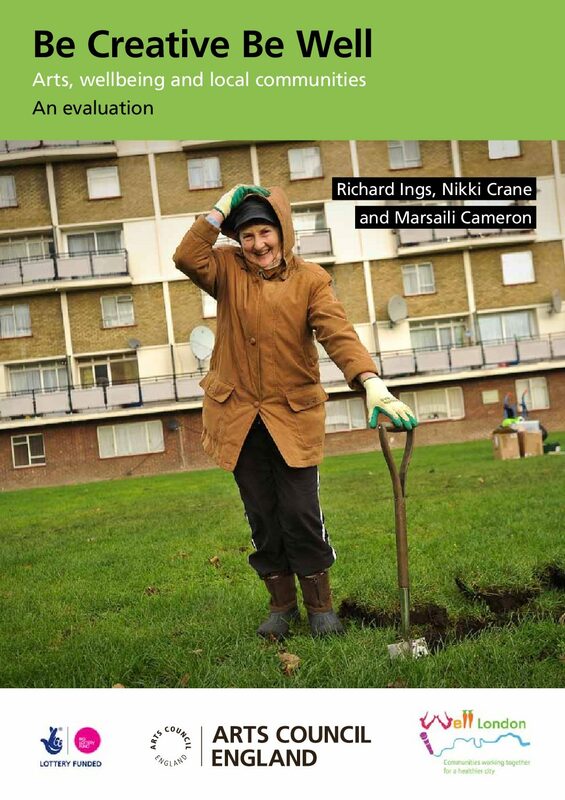 This guide forms part of advisory pack produced by PraXis to support healthcare staff, managers and their partners to deliver and sustain participatory arts and health projects in delivering specific public health outcomes. Findings from a controlled evaluation of the health benefits of a participative community singing programme for older people, involving a pragmatic randomised controlled trial by the Sidney De Haan Research Centre for Arts and Health. An independent evaluation of the ‘Be Creative Be Well’ programme, looking at the impact that the quality of the arts and cultural activity can have in community engagement and in improving health and wellbeing. A dance programme guidance for commissioners. A creative South Asian Dance resource to re-energise and inspire people in the early stages of dementia – this pack provides a guide not a template for working with dance and dementia. Is there compelling evidence for using the arts in health care? This evidence brief highlights the effectiveness in applying arts in health settings for patients, staff, and visitors. Digital Arts and Older People: What is distinctive about working with older people using creative technology?